Nap time in our house has always been something which we have been pretty strict on. LO is, of course, an energetic toddler. He seems to have boundless supplies of energy and would keep going all day if he could. I've mentioned on my blog many times before that we are creatures of habit in our family, and we love our routines which we have in place, but since we became a four, anything we plan seems to just take so much longer. In fact, most days any firm plans go straight out of the window before we have even finished breakfast. It is something I totally didn't anticipate before we had two littles but which is now very much the reality of our family life. Getting out of the house in the morning can be a nightmare and then getting back home again for lunch or the afternoon nap can prove even more stressful. Recently we have been a bit less strict with LO's nap time. He will normally have a snooze from 2-4pm, but with all the rushing around we seem to do nowadays, the day just whizzes past us and before we know it, it's 2pm, we are miles from home, eating lunch, then stopping for the inevitable nappy explosion, before bundling LO, Little L, the pram, shopping and everything else back in the car to get home again. If we reach 3pm and he hasn't gone down for his nap, we know we are past the point of tiredness and trying to put him down for a nap will be more trouble than it's worth. Which is why we often have 'quiet time'. This is just an hour or so in the afternoons where if he doesn't nap, he will curl up on the sofa and just have a bit of time to himself. Time where he's not expecting to play games and he knows it's a time when I can do a few jobs- it's important for both of us to have that break, and for Little L too. We have a little drink and a snack, and he gets to choose a book or something to watch on TV. 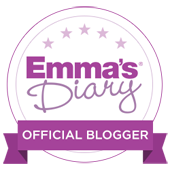 I think this wind down time is hugely important- I firmly believe toddlers need a bit of calm down relax time each day, and for us, having something which we can put on the TV for him works best. Ruff- Ruff, Tweet & Dave – Join in the fun with Hatty, Ruff-Ruff,Tweet and Daveas they go on magicaladventures. In A Birthday Party Adventure Ruff-Ruff, Tweet and Dave celebrate Hatty's birthday by playing all of his favourite party games. They also find him a surprise birthday gift along the way. LO was so excited to receive his copy and has enjoyed sitting and watching the programmes. It's great to have the variety of programmes, and he's watched a few new shows he's not seen before too. And with so many programmes to choose from, it's also the perfect DVD to take away on holiday with us too. 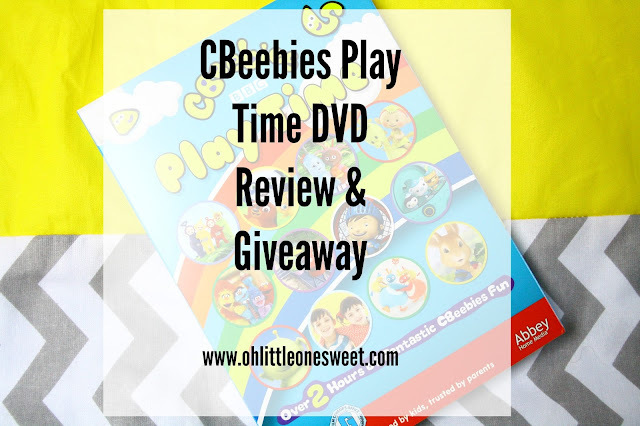 We have teamed up with CBeebies and Abbey Home Media to offer one of our lucky readers the chance to win a copy of the CBeebies Play Time DVD. For a winning chance all you need to do is enter via the Rafflecopter entry form below. Terms and conditions apply. I would love to win this dvd for my two girls who love CBeebies! Oh my goodness, I can imagine that having a stash of good DVDs is an absolute life saver! Very best of luck! Aw she'd really enjoy this DVD it's fab! I'd like to win to watch with my niece. My Little One has really loved this DVD- good luck! I'm sure she'd be delighted to receive a copy! I'd love to win this as my nephew loves Cbeebies! My two youngest sons would love this so I would like to win for them! I would love to win this because I have a 3 year old & a 1 year old who are big Cbeebies fans. We are driving to Cornwall in a few weeks time & need some more DVDs for our new in car DVD player! I would like to keep this DVD at my house for my niece and three nephews to watch when they visit. I'd love to win for my kids. They both really love cbeebies!! My nephew Jack is at the age he'd love this. He adores CBeebies. My friend has one year old twins and I know they'd love this!! Cbbebies is well loved at this house!